In 1977, Elizabeth Lesser cofounded the Omega Institute, now America's largest adult-education center focusing on wellness and spirituality. Working with many of the eminent thinkers of our times, including Zen masters, rabbis, Christian monks, psychologists, scientists, and an array of noted American figures--from L.A. Lakers coach Phil Jackson to author Maya Angelou--Lesser found that by combining a variety of religious, psychological, and healing traditions, each of us has the unique ability to satisfy our spiritual hunger. 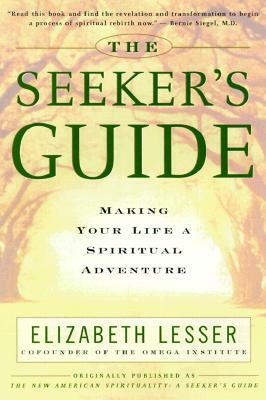 "Elizabeth Lesser has witnessed the search for God in America from a front-row seat. As both an observer and a participant, she is funny, profoundly moving, and simply brilliant. This is a book for anyone who wants to read their own spiritual story more clearly and find the inner compass that can lead them home."